Hey there, I am back with another guest from the great city of Detroit. 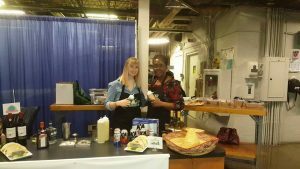 This is Romy, and I have the pleasure of introducing you to Chef Bee and Jasmine of social enterprise Detroit S.O.A.R! They have an inspiring story of joining together around health food for some very interesting reasons. This is a true story of how we are better together! Stay tuned at the end for a really fun song by a Detroit artist. As a matter of fact, you might want to find your dancin’ shoes while you are listening, so you are ready. While on the topic of mobile food, nearly 795 million people in the world do not have enough to eat. That is approximately one in nine people. 98% of the worlds undernourished population live in developing countries. Thanks to companies like Detroit Soar, that bring food to people who don't get enough to eat, the world hunger problem has dropped from 23.3 percent in developing nations to 12.9 percent. Thank you, Luke! Listening to those statistics, it really makes me thankful for the work of Detroit SOAR. Let’s listen in now…. We're excited to have you. You guys [crosstalk 00:00:22]. Yeah, you guys were ... we met cause you were winners at a Build Social event in Detroit. Right? Yeah. So, we were in an eight-week business accelerator to help us learn how to build a business while still doing a social mission and making a profit. And we met you at our pitch competition for that. Yeah. Lucky for me! Yeah, so let's, first of all, let our listeners know about Detroit SOAR and ... I don't know is that the name you use or do you say Sisters On A Roll? Can we clarify that right out of the gate? Yes. We can clarify that. Sisters On A Roll is my personal company, and me and Jasmine met through that company, and together we became partners to do Detroit SOAR, which is Sharing Opportunities And Resources. Okay. Glad to know that. Okay, so Detroit SOAR is Sharing Opportunities And Resources. Alright, I love it. And then do you still have your other company going, Chef Bee? And you really go by ... you're really most known as Chef Bee. Right? And why is that? Let's go back in history just a little bit. Oh, we're going way back. I was in the kitchen when Tony from Andiamo's and it was two Browns in the kitchen. So, he called me Chef Bee. And I've been going by Chef Bee ever since. So that's so good. So, what is Detroit SOAR? 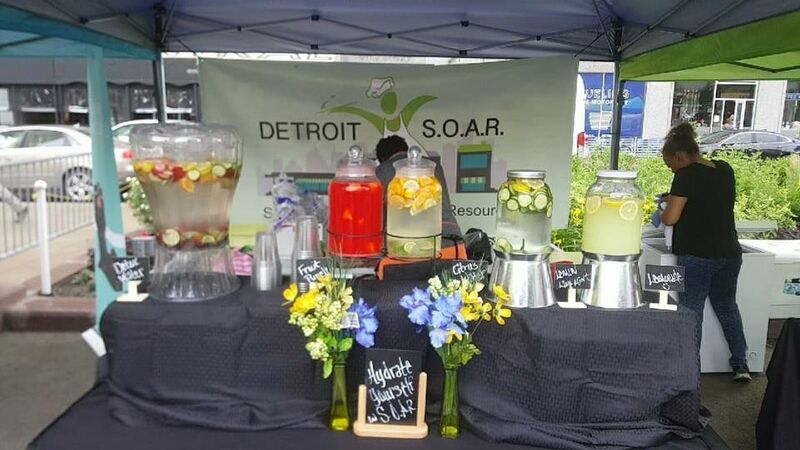 Detroit SOAR is a way that we reach the people through the medium of food. Yeah. So what we're trying to do when Chef Bee and I met we had a lot in common, and one of the things was our passion over food and our passion to serve the community through food. So, what we wanted to do was create a company where we could pull both of those together. 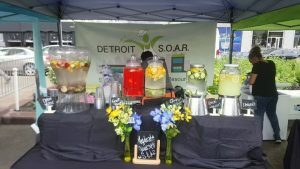 So, what we normally tell people when they ask us, "What is Detroit SOAR?" is we say it's a mission driven café that helps bring the community together through food and events. Now, are you mobile [inaudible 00:02:41]? So, we are mobile. 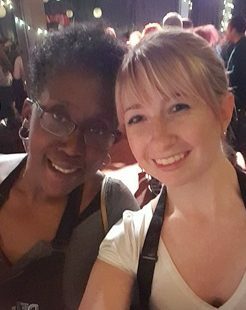 So right now for the past like six months or so Chef Bee and I have really been focused on doing a lot of pop-up events. So, I know people have seen us at Eastern Market, at [Marlow 00:02:51] Farmer's Market, at Campus Munches, a couple other pop-up places. And then we are working on becoming mobile. So, we have a couple of food trucks. One we are very close to finishing up licensing for it and then we'll be on the road, you know, being able to go around Detroit serving different areas. And then we have an additional food truck that we're trying to build out for the winter. Cause our current one only runs on diesel, which tends to gel up when it gets cold. So we have another one that runs on gas that we can use a little bit easier during the winter months. So, nice. Alright. And so the purpose, just to get real basic for our listeners, the purpose is to deliver nutritional food, right, to some of those that might not have access to it? Try it this way. We take different cultures of food and familiarize it for you. So, then you can taste the flavor of love, too. And Chef Bee, what's the reason why you want to deliver some nutritional food? I'm coming to a truck to be fed for free. At least give me something that will sustain me. And so I feel like it's my job to do that. Like, because I know I can. [crosstalk 00:05:17] You know even though it's statistically you looked at me. I'm a walking statistic on poverty and everything else, but I don't feel that way because as long as I'm able to help my brother, I'm rich. Yes, yes. I say, "Amen" to that. My faith has me saying unto that. Yes. Yeah, well good. And you've been feeding people for a while cause I think this is part of how this all started. Right? Yes. What happened was prior to me even meeting the lady that I named my business after, I was always in outreach ministry. Always cooked and feed the people. I always cooked and fed seniors, people that could no longer cook for themselves, people that had dietary issues. And what happened was my mother got sick, my husband let me take off work, and so I was cooking for people and, you know, to help make up for the lack of not having a job, that's what started it. And then a friend of a friend asked me to help a friend. And that's how Sisters On A Roll actually started. She fell backward, and they said she would never walk again, but she drug herself until her body obeyed. And so she needed somebody to go along with her to business class. I went along with her, I was learning everything she was learning, and they asked the question, and I was in the classroom, and I was like, "Well, you know, I had to remember where I come from." Like my grandparents had businesses and everything, but by the time we were of age to realize what was going on, we were already having to work for someone else. So, this whole series of tragic events turned out to be a beautiful thing. In the process, I met Jasmine, and she's loved me from the first like really ... And we lost touch for a minute, and then when we saw each other again, it was like we had never missed a beat. And then the more we talked, the more we wanted to partner up, and we was like, "Time is short. Let's just do it. If it doesn't work, we'll do something else." And we were just looking at all different injustices going on in the city, out of the city, and everything else, and we was like, "We got a solution for that." And we'd become mobile and not be tied to one particular place. Then not only can we sustain ourselves, but we can help others be sustainable and test the market as well. Yeah. That's so good. And Jasmine, what's your background. How did you sort of arrive one the scene? Yeah. So, I actually went to the University of Michigan, and I was studying business. I was in their business school, and I was always interested in the start-up scene. So there in college, I worked on various start-ups, and one of the ones I started doing on my own was called DineRoll, and it was a visual way to find food in your area. So, I came to TechTown; I became part of their DTX Launch Detroit program. So, I was in it for the summer of 2015. Really interviewing a lot of restaurant owners, food bloggers, foodies, anyone in the Detroit food scene ... to do a customary discovery for the app, I was trying to build. And during that time, there was a pop-up dinner, and I never even really heard of pop-up dinners. I didn't know what it was. But there was one at Checker Bar and my partner at the time was like, "Let's go check it out." So, I checked it out, and it was Sisters On A Roll that was putting it on. So, I got to try some of [inaudible 00:08:47] food and after I was like, "Can I just sit down to interview with you and figure out some of your pain points, your backstory?" So like Chef Bee said, her and I met up and we just really bonded at the time. And my startup ended up falling through, so I reached back out to her about six months after that and then her, and I partnered up. And we've been doing this ever since. Nice, nice. Cause you guys, sometimes when you come from ... un-similar backgrounds and un-similar age groups, and all that, it's hard to mess. But I got to tell you having watched you two together; you seem like a natural fit for the business. She gives me new eyes. You know what I'm saying? It's like the stuff we've been through in the last year, melded us together, she like one of the family. You know what I'm saying, it's so funny to me like my kids like, "Where's Jasmine at?" If I go to a concert separate from her, they like "Where Jasmine at?" You know what I'm saying, it's natural, it became natural. Looking at the cultures, looking at the, like you say, lifestyles, all the differences, how would that work? But we know that it's of God because we consider one another, that's what makes it work to me, and together we wage war with a fork. Yes, ah, that's so good! That's so good. You guys are a dynamic duo; there is something about you two together. I told someone that I had bumped into the next morning after I saw you two present, and I'm like, man, they are the dynamic duo. There's some sort of multiplied force when they get together; I could just see it, so good. That's the bottom line, that's the bottom line. By myself I've been trudging along, I couldn't stop even if I wanted to and just having her along the journey she gets to see things and what I love about the food part is love on a plate crosses all cultures, all economic barriers. Even if you can't speak, if you can't converse with one another, if you put love on a plate, it will tell a story. It will change the narrative; it will do away with all the stuff that we as humans get bogged down with. Yeah, it's so true. So thank you for exploring that for a second with me because I just feel like so many good things are happening for us here in Detroit and I just wanted to highlight that, no matter what the news says. And that's another thing that I found that through food we have a voice. You know what I'm saying, you might not hear me by myself but if me and her are saying the same thing, somebodies going to take notice. Yeah, that's right. We have kind of a great food scene here, don't we, I'm mean it's more that what people would think. Oh yeah, it's definitely coming to life in the past couple of years with the revitalization of Detroit. You know, more younger professionals moving to the city, it's completely changed, and it's awesome to see. Yeah, so Let's talk more about your business model for a minute, let's just hang out there for a second. Are you guys charging some and offering free to others or, how's that working for your own financial sustainability? Yeah, of course. So a lot of what we learn actually in the build social class that we met you at was how to create a pay it forward food economy. So what Chef Bee. and I are trying to do partner with our customers to help be able to feed the food deserts of Detroit. So during the day time when her and I pop up at campus marshes or Eastern market, we can charge a little more for our food. That way we can then go back out into the food deserts of Detroit where people can't afford to pay anything at all and be able to serve them still while still having a profit to offset the end of the day. Yeah, smart. Sorry, and when did you start doing that? Did you do it right away or just recently? I've always did it. A long time ago I used to be under a nonprofit before I really knew all the statistics and all that blah, blah, blah stuff about it and I saw it in action. I saw that they partnered with Gleaners, which is what we're trying to do to get food for pennies on the dollar, take that food, make a full product and then give it to the people. Because a lot of the people don't have a way to cook the food, don't have a way to keep fresh food and a lot of the food that they're given is being thrown away. So, what good is it if I can't give you something again that's sustainable, but if we take those full products that's given, giving it to them in a hot meal, they can consume it and don't have to worry about trying to figure out where they got to store it, where they have to heat it up at. It's nutrition, and it's going to be fortified with lots veggies. We want to do meat as a flavoring versus a filler because you're not really required to have a heavy, heavy load of meat but if you fortify with the vitamins, minerals, et cetera. It will sustain your body longer; it will stay in your body longer versus all the processed foods that are given. Nice, nice, so it's working, and obviously it's having good impact for the people that keep coming back. How did you ... Maybe you can help us understand because we have a lot of listeners that are learning about social enterprise, how did you start to make your way, either with your mobile truck or in a pop-up scene, how did you start to get permission to sit at those places? Is it the same process that a food truck would go through or? We had a lot of people that believed in us, believed in what we were doing, saw the outreach ministries that we affected and they actually pulled us in. Like Nick George from Dr. Sushi, Jay from Detroit Sushi, we have awesome, amazing food friends, and just retail friends that have been very, very supportive. We have a photographer named Jess, that's my twin, she is so awesome. You know what I'm say, we just have a whole village of people that push us towards wherever we need to be like random people walk up to us and that's how we got our second investor because overheard us discussing the plans that we were making and wanting to do. He just stepped right in like, "I'm not trying to bug y'all, but ..." We were Leary at first but now we kind of watching it like to me it's all in divine order like it's coming. I told Jasmine if we make it, everything else will fall into place. Yeah, that's right. It is interesting; some stuff can come right to you when you're doing the hard work. You attract the good stuff, and I think people want to help. There's a lot of people that do want to help; they're just not maybe so sure how to get involved. There is and kind of to talk on Chef Bee. 's point of the networking aspect. Really once you do one event and people see you out there, you get leads at those events that lead you into events after that. Her and I, one of the first big events we did together was Mac and Brews at the Royal Oak Farmer's Market. So we did that, we did really well there, we actually got second place and after that people asked us, "Do you want to do Bacon Bash, do you want to do Burger Bash?" Which was two other events put on by the same company in coming months? So then we were like, awesome, we know we have two more events locked in, and then from there they would tell their friends and started expanding like that. That's so good. And how do you differentiate yourself from other folks trying to do what you're doing? So a lot of it's really with the food. So I'll let Chef Bee. talk on that. She has a nice vegan twist that she adds to a lot of her dishes. 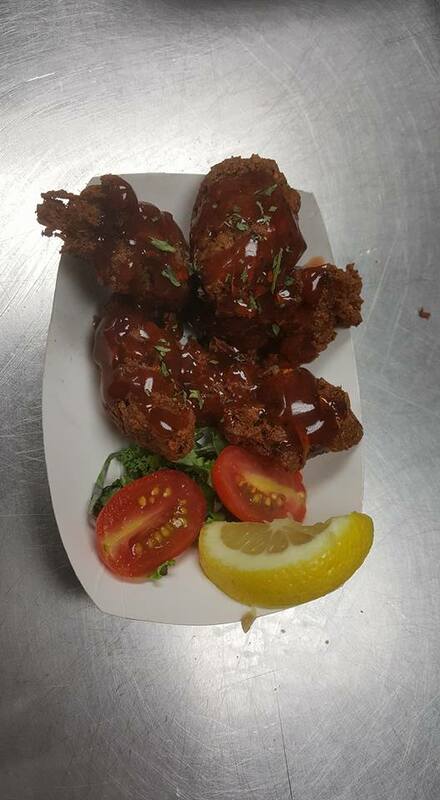 So she has these awesome vegan wings that we serve at a lot of our pop up dinners that we do. You know, people come up to us, and they are like, "What is a vegan wing?" Most people never hear that before, so if you want to talk more on that. Again, it comes out of the need for something different. I got tired of all my vegan friends, or people that I meet was vegan, and all they could eat was a freakin' salad. I'm like, let's make a vegan wing for them. So I kind of made the first one kind of like a fritter, and they really liked it, but I really want to hit them with a one, two punch. So my daughter said, "Mom, you've been talking about it, but vegan wings are a thing." I said, "Get out of here." So a guy named Zachary Bird had a way to make vegan chicken wings, but I looked at the recipe, I watched his little video and everything, and I'm like, I don't like the risk involved. So I'm a food person, so I studied cookbooks and videos and different cultures style of cooking like people would normally read a book from front to back, I do that with videos, cookbooks, et cetera. So what I did was I took his concept but applied different techniques to it. It came out absolutely marvelous. So we repeated the process again and again and again, and I took all the would of, could of, should of go wrongs out which made sense to me, and I don't see how come he didn't do it, but I'm like, maybe he just was excited that he did this things. I'm loving it; it's been well-received. I would like to be able to batch make it so that it could be frozen so that people could, you know ... cause the stuff you try in the market is crummy, and it's loaded with a lot of additives and preservatives. I wanted to do something better and different, and I think we succeeded when we do vegan meats. That's our sustainer. To make the vegan meals is a plus for us. Because it gives you a chance to break the monotony and to eat a little bit healthier. If we can get you to ... I'm not saying I'm trying to press anybody to be full-on vegan or full-on vegetarian because I think variety is the spice of life and I think you should be able to consume it all if you choose to but do everything in moderation. So, if we give you a healthy dose of what's good and you like it, you're more apt to back to that versus constantly eating processed this, processed that, or all these chemicals that you can't even pronounce in your food. Right. Oh, I so agree. Hey, are any of the restaurants asking you for any help? Well, Nancy Whiskey's have asked us, and we've ... Detroit City Distillery have asked us, and Wholesale Foods wanted our [inaudible 00:21:26], but we couldn't afford their distributors. So we chose to do it solo, and at this point, we are gearing towards a late night supper. We have a location in [inaudible 00:21:40] for the late night suppers, and we're keeping our fingers crossed to get our own space, which would be awesome and amazing, in Mexican town. So there's a few things under the current that's going on. 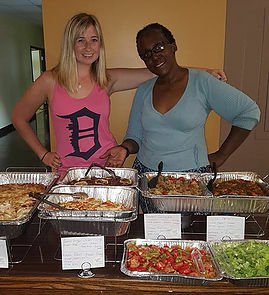 We got chosen by Thrillist.com and Detroit Hub did a spell on us and just from somebody eating at our pop-up ... she wants us to cater our wedding. Yeah. From vegan wings that she ate. It was really, really crazy that day. It's crazy when your social media people become your friends. Actually, one of the coolest things. So this weekend we were at Detroit Kite Festival as one of the vendors there. And we ran out ... We were doing chicken tacos, and then we also had vegan tacos, and we had hot dogs and vegan sausages. So we ran out of our meat products first and then people were like "Oh, do you guys have anything left?" 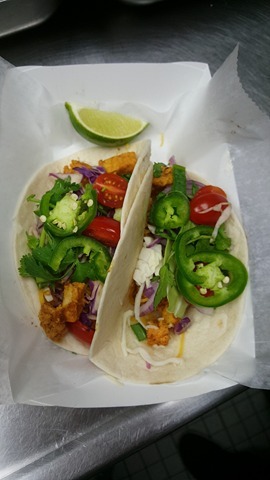 and we're like well yeah, we have the vegan tacos and the vegan sausages, and they were kinda iffy on trying it, but [inaudible 00:22:26] was like "Here, just try a little piece of it." As soon as it hit their mouth, they were like oh wow, that actually is pretty good. A lot of it is, I think people have this perception that vegan food isn't going to taste as good as the meat product, but a lot of it's because they haven't actually tried it yet. Yeah. Oh my gosh, this is exciting. As soon as they taste it, we got 'em. I vegan-is a lot of stuff just so everybody can eat. When I do vegan or vegetarian, I'm not limited by some people can't eat pork or some people don't eat beef or "I'm off red meat altogether." So this way we're able to feed everybody. Yeah. It's so good. There's so many ways I want to go right now with this, but what would be big dreams for you guys with what you know at this moment? If you could just let yourself, if money weren't an issue, and you'd let yourself dream for a minute, what would that look like? You want our perspective, or you want what kind? Because it's like a three-tiered type thing. I think together we want that food hub that essentially ... Where living quarters would be above. The ground floor would be where we would have a reception hall, perhaps, for use, a commercial kitchen, and in the basement we also have ... We've been in contact with a beer garden. So we have this entire team that, if we had the money to come together today, I think would be a beautiful bonus for Detroit. It would be vegan-friendly, vegetarian-friendly, everybody would have a place where you can bring your vegan or vegetarian friends, and everybody could still be fed well. All of it would come together. We'd even have a beer garden in the basement. I think that in itself would totally rock. And can house our food truck. Because the main idea for us was also to be mobile even if we have our own brick and mortar space, we still want to be able to reach the people that would not necessarily be able to reach us. Yeah. So in this process, we were thinking, we really did some research and realized there's a limited amount of commercial kitchen space in Detroit. And with what we want to do with our name, sharing opportunities and resources, we decided it'd be awesome to be able to open up a commercial kitchen space that could be shared with other food entrepreneurs so they can come in, have a space to cook and store their products, and then most importantly market their product. So as she was saying, her and I don't want to be tied down to the kitchen 24/7, so we can go out and feed the food deserts. So we can have one of the other food entrepreneurs, be like hey, it's your time to shine tonight. Go ahead and do your pop-up, serve your food, get your following built up, so then they can go on to get their business out in Detroit. It's a food hub for food entrepreneurs to come in, cook their food, get a following, and just do a lot of fun events. You can do so much with involving the community in food. Getting local artists to come play, have art showcased ... Really the opportunities are pretty endless. The food hub itself would be an ever-changing type thing. Because we're all-inclusive and we don't think anybody should be shunned, unless you're spewing hate, then obviously you're not welcome. But if your plan is to love one another or at least consider one another, then we can probably accommodate you because that's our end goal. I think the collaboration of all the limits were taken off, would bring the community together, would bring old and young together, because it would give us all a place just to be. You can bring your grandparents, you can bring your kids, and you could feel welcome. Now at a certain time, the kids gotta go, maybe you wanna take grandma home, but in the meantime, you can all come together and assemble yourselves at this one particular space. That's the ideal goal, would be to have that center where everybody could really come together. I envision it to be like the casino, you know how you go into the casino dining area, and you see all these different varieties of food that you can go to. I would love to have that in our space. I have a lot of friends that cook amazing things, but no place to really showcase it. But if everybody had their small little nook in this one big arena, it would be a place where everybody would come anyway because they would want to know what's going on, what's this new taste, or I know I could get a healthy bowl of whatever this thing is right in one particular space. Oh, I love that, we have such a need for that in Detroit. I agree with you; there's so many food entrepreneurs that don't have places to cook. There's just not enough. Everything from bottling and packaging, manufacturing, cooking it, storing it, and the equipment, like you, said, even for the truck. I love this direction that you're going. Yeah, we have a couple places in mind. Her and I applied for Motor City Match for the space track back in the fall, and we were around six awardee for that, so from that we started looking at different spaces. We teamed up with a guy, his name is Larry, and he has a space in Mexican town, and he's also a Motor City Match building recipient. So together we've been working on trying to figure out what we can do there to bring a commercial kitchen space and [inaudible 00:29:09] space to the community of Mexican town. As she was saying earlier, we met this investor randomly at a coffee shop, and we both had very similar ideas, but his main thing is he wants the living quarters to be able to have international students be able to come in and have a place to live. So that's another avenue we're trying to look down; is there a place that we can find a bigger building to house people, a pop-up space, and a beer garden or commercial kitchen area. It is funny how you start with one thing and all of a sudden, you've got a big complex. That's how the Sisters On A Roll process has been going, and that's why I said I'm just loving the journey. I wouldn't change anything. It isn't easy or any of those things, but it's definitely worth waking up to every day. You guys are doing such good things! Well, my personal vision still ties to the ... All the things that I've said prior to. I would love personally if the limits were taken off of me to have a facility where I could house the people that are in the streets, homeless. It would be a place where they actually could come, get some focus, get better. Like, I envision them coming, not just to a house where they can just come and eat and go back out to the public and come back and go eat, you know. I want a little bit better than that. I'm not trying to force any religion on anybody, but it's simply acknowledge a better you, a better ... A higher inner self, if you will. And I would like to have a facility that would do that, like get them off the streets, get them cleaned up, get them fed, get them healthy, teach them a job skill. If they're not able to work, then, let's find some volunteer opportunities for them to do that would take up their time. And if, you know, I want ... Let me rephrase this. I would like some ... Some people will be with you because this is their chosen life. That's just how it is. And then you have people that just need a hand up; you know what I'm saying? With the help them transition from this lowly space, 'cause all it takes is one bad life happening, and you might be on the streets, you know what I'm saying? [crosstalk 00:31:33] So I know. And yes, I have ten kids, I've been homeless, but not homeless to the point where I didn't have any place to be because I always have family I could go to until I could get back on my feet. But what about the people that don't have that as an option? I want to have a healing house for them to come to and to learn to be again because a lot of them have forgotten how to be. They just know how to survive and exist. Right. We sort of lose our humanness sometimes. And you know, if you've ever been judged by anyone, then you can discern how that feels like. If I'm already in a terrible situation and I'm homeless, you know what I'm saying? It doesn't help me for you to look at me like I'm a bum or I'm less than. You know [crosstalk 00:32:25] consider everyone my sister and my brother. Because when it's all said and done, we'll all be one anyway. And that's why I love our name too, 'cause it can fall into really anything with sharing opportunities and resources. You can do that down so many different [crosstalk 00:32:43] paths. It's awesome. Well, it was designed to be an umbrella company anyway, which we came into the partnership knowing that it would not ... It would not exist as one thing, that it will grow itself into whatever it would be, which was the reason for sharing opportunities and resources, 'cause I feel like by ourselves we might not be able to do it, but if we tell the story and we tell the truth in the story, and they catch the truth, you can't unlearn what you know. That's right. It's so good. Yeah, you can't unlearn what you know, so even in failure, I find that motivating because, at the end of the day, I only see my goals and my goals is to feed the people and to leave them better once I walk away. Yeah. So good. Dignity. Restoring some dignity there, you know? Yeah, mainly. I go back to the same phrase. I can't escape it. I've accepted it as part of who I am, and that's just for us, I live my life by let us consider one another. [crosstalk 00:33:51] have you on my mind, then either one of two things will happen. I'll be better for it, or we'll be better for it. Yeah. It's so good. And Jasmine, how about you? Do you have any sort of personal aspirations within this dream? Yes, so I mean, I've always been interested just in general in the food industry and what you can do with food. Like she talked about how you can cross really any cultural boundaries by sharing, you know, just a plate of food. Well, it became a lot more closer to my heart in November. I actually lost my father, and he had a pulmonary embolism, and a lot of it was because he was obese and he didn't live a healthy lifestyle. And that just split my whole world around. But it really tied me closer to this because I realized that, you know, he had the opportunity to eat healthy and he didn't, but what about all the people in Detroit that don't even have a choice? Like all they have is the corner store to go to to get chips or, you know, just anything that's not healthy. So by providing access to them to have healthy food, that gives them more than just a full stomach, it gives them sustainability to grow, especially children, you know, to be able to grow up and make a difference in the world. So that just opened my eyes to how important eating healthy really is and the need to be able to provide that to those food deserts. Yeah. Boy, I'm sorry for your loss, first of all. And you guys have a running theme here that you started out with and it's kind of landing nicely to close us out here. You guys are bringing a new meaning to the word food sustainability for me. I mean, normally, when I hear food sustainability, I think in terms, well, I'd say more like food access is what comes to mind. And then sourcing it from the right place. That's why we wage war with the fork. We are offering Detroit a disruptive food service. I used to be 417 pounds, and I changed my life with a fork. During the process of changing recipes for all my friends and people that were suffering with food allergies, diabetes, etc., I ended up going through those processes myself, so it made me more empathetic and more like ... It drives me daily to make sure that maybe you can't because you have diabetes, you can't eat, let's say, candied ... sweet potatoes. Oh yes, you can. It's a way to give you those same flavors but healthy. So a lot of the times, when I change a recipe, I might not say it, I might just offer it to you and then if you like it, then that's something we'll keep doing. You know what I'm saying? We write it down, put it in our books, in our archives, so that we can duplicate that process one more time and it also shows that somebody cared enough to go the extra mile to make sure that you can still be familiar with the things that you love. Yeah, it's so good. So now that I'm ... Sort of, my mouth is actually watering; I so want to get in the car and figure out where you guys are right now. How would the listeners find you maybe on social media or a website? How would they know where you're at? Yeah, definitely. So we have a website, it's detroitsoar.com, and we have an events tab that's always updated with any pop-up events we're gonna be doing. Additionally, we use social media, so we do a lot of Facebook events to push out what we're doing. And then with our food truck getting launched soon, you know, we'll hopefully be all around Detroit in different areas. And then, and again we'll have a late night supper available to you. Probably, I think we're gonna do [Kirial 00:37:54] perhaps or [Collin 00:39:54] maybe, I'm not sure how we're gonna set that up. We're in the process of discovery for that. But on the weekends you will be able to come and get fed all day, so we offer that convenience to you. And I think once you become our friend, like detroitsoar.com on Facebook, right? And you'll be able to see once the late night supper thing gets going and the weekend supper, you'll be able to see what you can come get for the day's offering. Or you can call us and say, hey, well, can you make us this or that? And then you can come pick it up. We want to offer convenience to ... You been working all day, you don't feel like cooking, but you want that healthy good thing at an affordable price, then you can come get that from us. And we'll flavor everything with love. I love it. There's so many nuggets I've been trying to write so much down that you guys have said, packed in here. I can't wait for everyone to hear this great conversation. I want to thank you so much for spending time with me today. I can't wait for this episode to come out. Can we add the part, 'cause I know you said this is coming in August or September-ish. We'll be heavy back into our soups which you can also see on our detroitsoar page if you look through all the pictures of the foods, all of those products are available. We will be starting our soups back up heavily during that time. 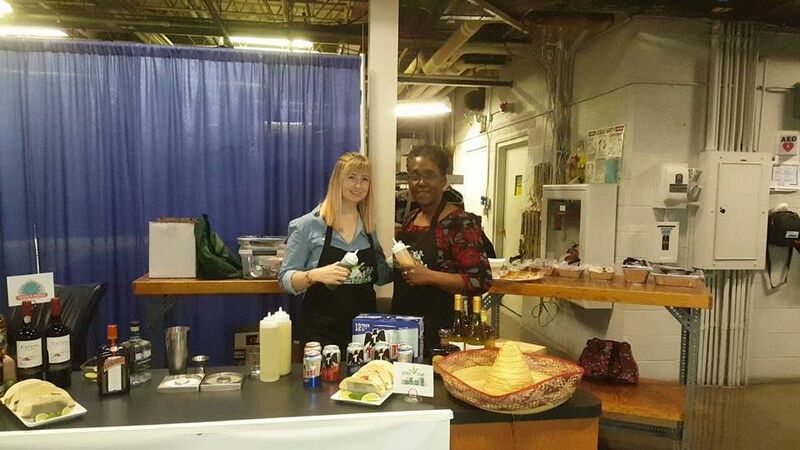 You can catch us at various Detroit soups, the event, the actual events. 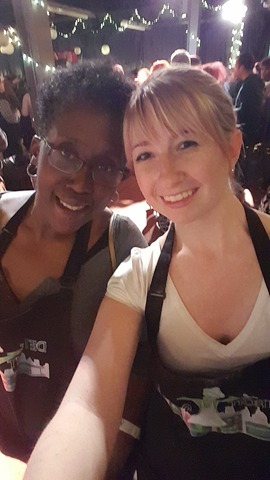 We do a lot of those around town because again a lot of the things we do is sharing opportunities and resources which means we might make a pot of vegan soup or vegetarian soup for an event so that we share the flavor of love that way as well. I love it. Flavor of love. Well, definitely, and thank you so, so much. A big thanks to Chef Bee and Jasmine of Detroit S.O.A.R! That conversation was chocked full of goodness and I feel a little hungry, ha ha! Alright, we are not done having some fun yet. Let’s hear from what is quickly becoming one of my favorite Detroit Bands, The Infatuations. All of these tunes are curated for us by our friends at Assemble Sound in Detroit. Here is the song ‘Dancin’ On My Knees’ I hope you do a little dancin’ while you are listening…ha. Until next time, keep those bonfires burning!